A team of researchers with the Max Planck Institute of Molecular Cell Biology and Genetics and the Brandenburgisches Landesamt für Denkmalpflege und Archaeologisches Landesmuseum, both in Germany, has found evidence that suggests Mesolithic people ate much better than previously thought. 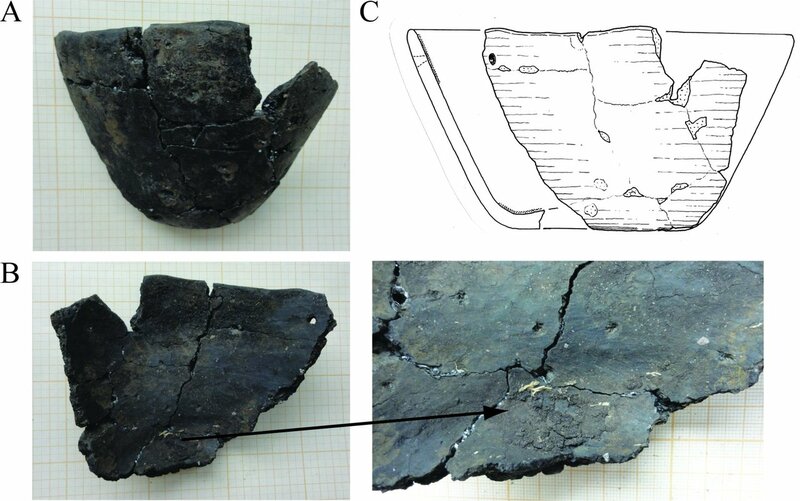 In their paper published on the open access site PLOS ONE, the group describes their study of food remains found on a bowl dated back to approximately 4,300 BC. Movies and television shows have implied that those living during the Mesolithic were brutish and backward—eating hunks of meat carved from an animal and tossed onto a fire, for example. But in this new effort, the researchers report evidence that suggests people of the Mesolithic living in what is now Germany had cooking skills on par with modern humans. 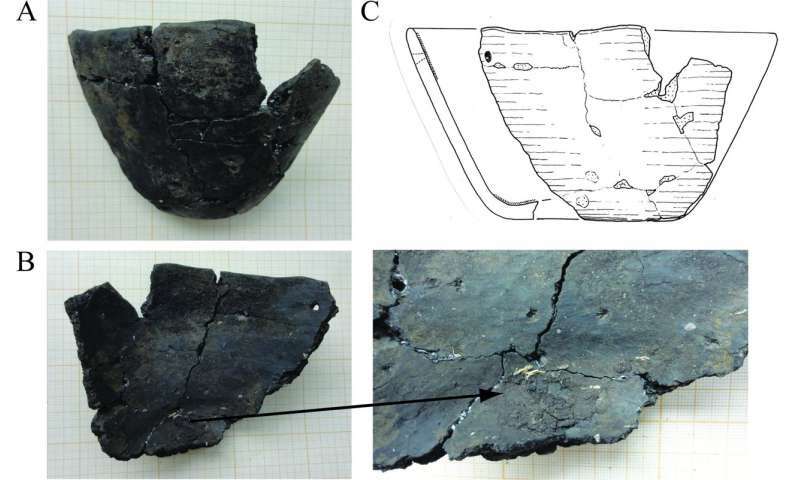 The researchers came to these findings by analyzing an earthenware pot recovered at a site called Friesack 4, located in the Brandenburg region in Germany. Carbon radio testing showed the pot to be from approximately 4,300 BC. In their efforts, the researchers focused on residue found on the pot—evidence of a meal that had long ago been cooked and eaten. In their work, they looked for proteins instead of isotopes, because recent research has suggested they can be more accurate. The researchers found evidence of carp roe that was fresh at the time it was cooked. They also found evidence of fish stock (water that had been used to boil fish) in the residue, suggesting Mesolithic cooks had boiled the roe in fish stock before consuming it. But there was more—the researchers also found evidence of a crust made from organic material around the rim of the bowl. Electron microscopy revealed that it was some type of leaves. Thus, the early cook had boiled roe in a bowl using fish stock, and had covered it with leaves to promote heating, or perhaps to add flavor. Taken together, the findings suggest the Mesolithic people had much better cooking skills than previously thought—poached caviar sounds like something modern diners would find only in a high-class restaurant.